Former Denver Broncos' star Eric Decker and current Bronco Demaryius Thomas use the NormaTec Recovery System to get ready for the big game against Seattle. Dr. Chris Bleakley, Lecturer at the Centre for Health & Rehabilitation Research and at Ulster Sports Academy, University of Ulster discusses the benefits of Cryotherapy in injury prevention and rehabilitation. The Doctors TV show featured whole body cryotherapy from Millennium ICE. They recommended this treatment for sports recovery, pain management and skin conditions. 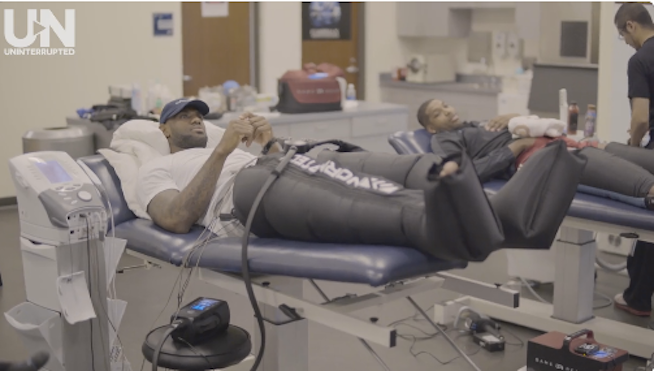 The Discovery Channel explores the easiest way for Sport Recovery, The Benefits of Cryotherapy for athletic recovery are amazing. Tony Robbins explains why Cryotherapy is his favorite technology and how he benefits from it.